The Right Start... Start Smart! START SMART, created by the National Alliance for Youth Sports, is a nationally acclaimed program that helps kids get ready for sports…and succeed in life. It is an innovative step-by-step approach that builds confidence and self-esteem in a fun and safe sports environment. 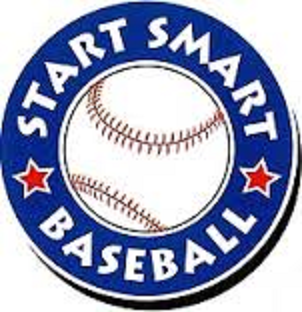 Start Smart is for children ages 3-5 years old. The program prepares children and their parents for organized baseball and softball. Age appropriate equipment is used to teach throwing, catching, batting, running and agility. This 6 week Child / Parent program will meet 1 hour per week on Saturday mornings from 9-10 AM at the Harvell Civic Center Gym at 8077 Wilkinsville starting February 4 and ending March 11. Cost is $60. Each Participant will receive a ball & bat set, glove and 2 Koosh balls, program t-shirt, "The Sport in Me" workbook all to take home. The best part is that you and your child will experience the fun of this developmental program together ... TO REGISTER CLICK HERE!